We pride ourselves of providing valuable content and resources to our members and their peers. WELCOME TO THE PROFESSIONAL ASSOCIATIONS. 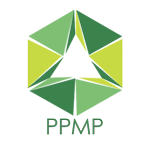 PPMP welcomes all PMO directors and executives, managers and practitioners, as well as executives and director-level managers in technology, operations, sales and marketing, manufacturing and technology. 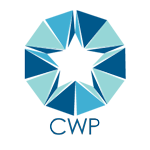 CWP welcomes all VMO, managers, directors and executives, and practitioners, as well as executives and director-level managers in Human Resources, Procurement, Talent Acquisition and Risk/Compliance. Visit our CWP membership benefits page to read more about the advantages you gain by joining Contingent Workforce Professionals. 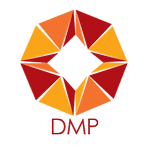 DMP welcomes all managers, directors and executives within the data management discipline. We operate with the highest professional integrity to network and collaborate with our peers for the purpose of growing best practices and contributing to a valuable network. "CWP offers a no-cost and no-pressure way to learn about relevant topics without a large time commitment. The opportunity to network with other practitioners is invaluable." Please use our contact form. Someone from our team will get back to you shortly. The Professional Association's events are nationwide. Our current Chapters reside in Denver, Colorado and San Francisco, California. If you are interested in opening a Chapter in your area, please use the contact form and someone will contact you shortly.